TIBO SIA75 I Kraftfulla förstärkare med Bluetooth I Handla hos Hifi-Freaks! A fully featured streaming amplifier, the TIBO SIA75 is a flexible performer. 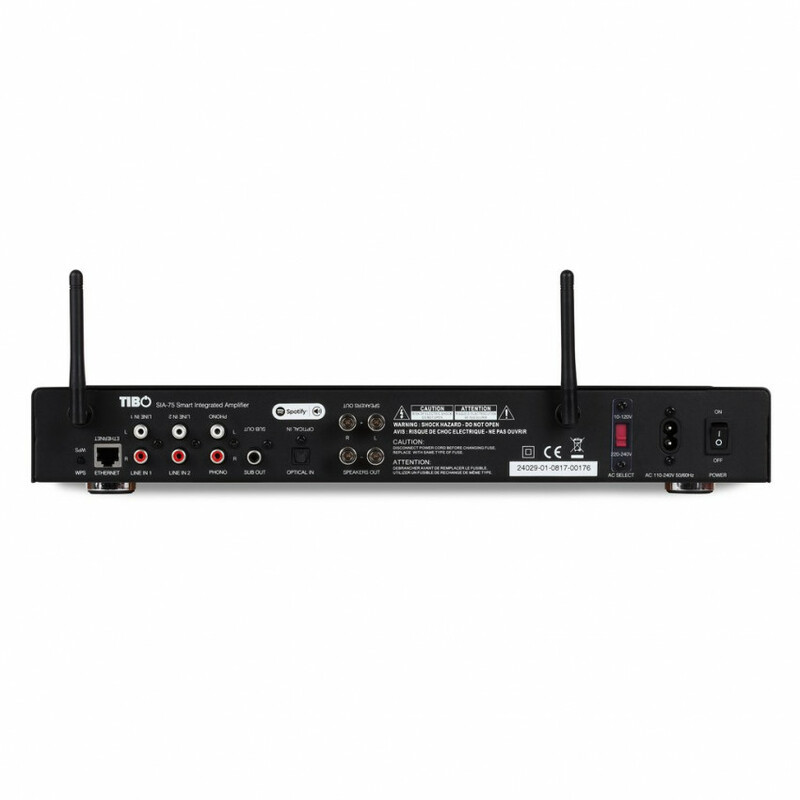 With a choice of streaming via Bluetooth or Wi-Fi plus the addition of 2 x RCA, 1 x optical and 1 x Phono inputs plus 1 x sub output, the TIBO SIA75 truly can play it all. 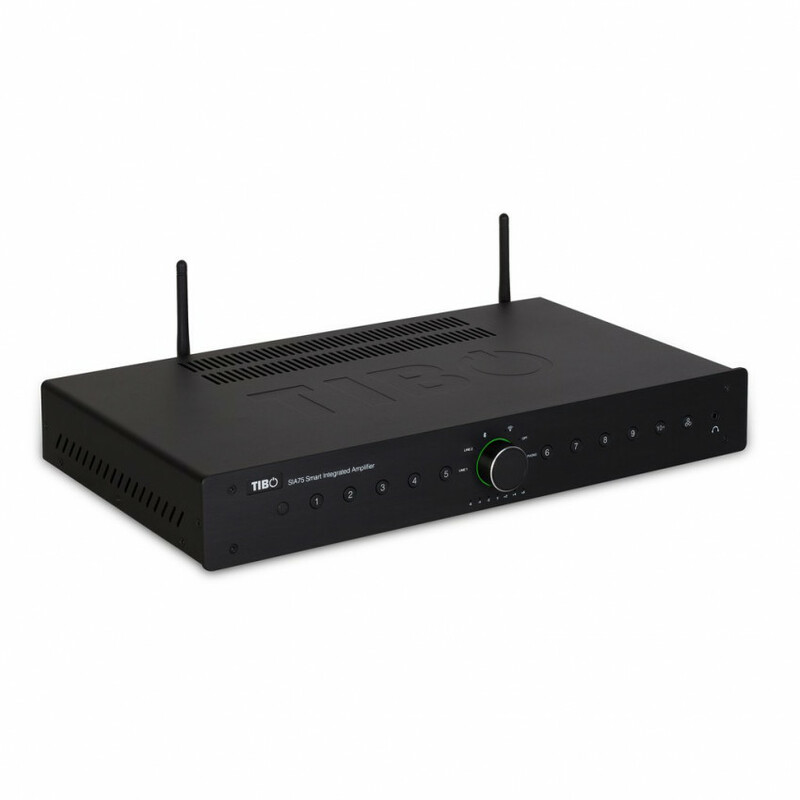 A fully featured streaming amplifier, the TIBO SIA75 is a flexible performer. 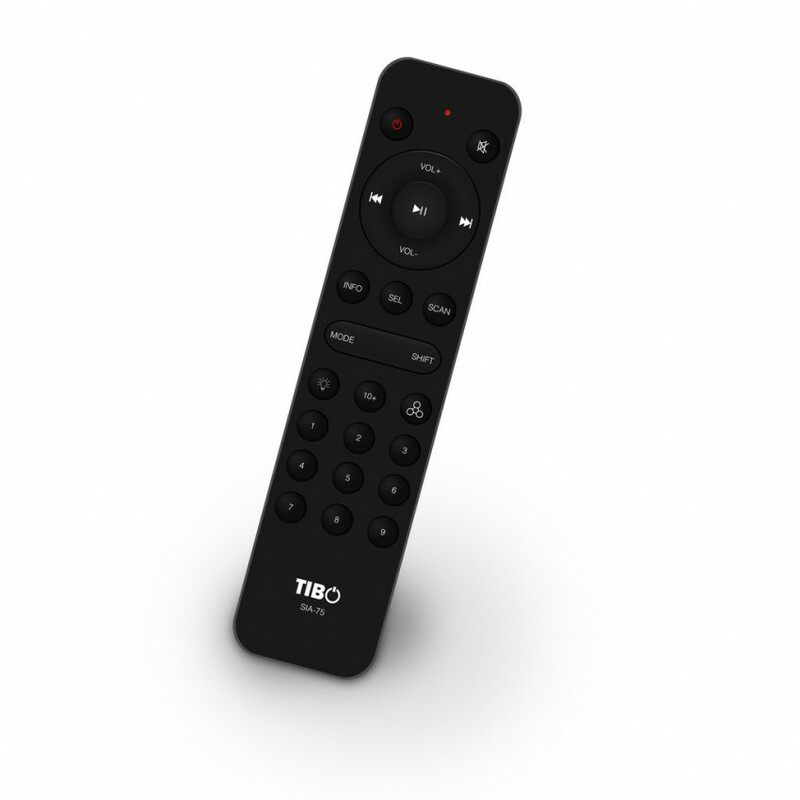 With a choice of streaming via Bluetooth or Wi-Fi plus the addition of 2 x RCA, 1 x optical and 1 x Phono inputs plus 1 x sub output, the TIBO SIA75 truly can play it all. Thousands of Internet radio stations from around the world are available and all easy to access via the smartphone app, which can be programmed into the 18 presets. Powerful 2 x 75W RMS amp can drive most speakers and it supports hi-res audio. The TIBO SIA75 produces a big sound, an unbelievable 2 x 75W RMS. The amp provides you with various sources to choose to connect to. From Wi-Fi, Bluetooth, 2 x line in, 1x Phono and Optical in, whichever is easiest for you. You Also have the choice to connect via LAN. A subwoofer can be added via the sub output. You are also provided with a remote control to manipulate sources, volume and other aspects.